I have known Susan since May 2006. Susan is a wonderful compassionate and a caring person. I am grateful that I met Susan. Through her guidance, I have received my Reiki Levels 1, 2 and Reiki Master trainings. She is a great teacher and a wonderful Reiki Master. We all enjoy our practice sessions of Reiki Share once a month. I would certainly recommend Susan to others if they are interested in Reiki. When I received my first Reiki treatment from Susan, I experienced love and light present in the room. The room was filled with angelic light and illuminating figures of angels …. it was beautiful. To this day, I can see it clearly in my mind. The positive energy that flows through Susan is incredible … Susan Nicholas is an AMAZING HEALER. I took my Reiki Level I and II from Susan Nicholas in 2004. Susan Nicholas is a loving, kind and compassionate person. She is very helpful and shares her knowledge with everyone. I recently received my Reiki Master’s certification from Susan in 2015 and it was an extraordinary experience. My family, friends, and clients have noticed an increased positive energy in me. I am so grateful to Susan for sharing her wisdom, experiences, and lessons with me. 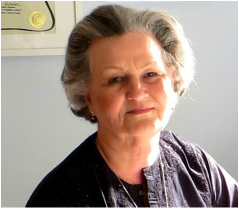 In spring of 2005 I received my first ever Reiki treatment from Susan who was then volunteering at Wellspring (cancer support centre) in Oakville. I not only experienced a super mind, body, and spirit healing session but after telling her about my terminal prognosis and woes she shared lifesaving information that I pursued. It spared my life, reversed my cancer and became a daily but very inexpensive program for life. I also now have my level 2 Reiki and plan to take my level 3 Reiki in the very near future. Susan is an absolutely awesome Reiki Master and teacher. She is the most compassionate, caring, loving, generous, and genuine person that I have ever met. I'm forever grateful for having met Susan and for having her as a close friend. She's just an awesome lovely person! I've known Susan for several years now, first as a client for reflexology and then later as a friend and teacher. I've never met anyone kinder, gentler and as proficient as a healing practioner as Susan. I've studied Reiki from several other sources previously and none has matched in quality and thoroughness as Susan's classes. I highly recommend her. As a crohn's sufferer I have been desperately looking for some relief. I was referred to Susan for Reiki and although open-minded about it I never believed it could help me. Well it has, not only the treatments, but having Susan come into my life, She is a rare breed...she CARES.Her priority is to help and heal.She has also introduced me to others for nutritional advice who have helped me also. You only have to experience one session with Susan to understand why so many revere her.She has helped change many lives including mine. I met Susan two years ago and feel very fortunate to have met such a wonderful Reiki Master healer and lovely person. She has helped my family and I through the grief of the loss of a loved one and the physical illness of one of my children. She is not only extremely knowlegeable but a very skilled practioner. I am so pleased to now have the opportunity to learn Reiki 1 and 2 from her. She has certainly helped me change my life around. I am often in awe of her generous and patient nature and I would strongly recommend her to others. I was fortunate enough to meet Susan 5 years ago and received my level one Reiki from her. Her compassion and loving nature to help others shines thru her. I am hoping to receive my Level 3 Reiki thru her one day soon! I agree with the previous reviewer that Susan is compassionate, generous and caring. I was really interested in the approach she presented that helps families use products that are save, good for the environment --while contributing back to the Not-for-Profit organizations that we are part of... Sign me up!!! Susan is a wonderful, kind and very special lady. She has a pure heart of gold. I refer all my coaching clients who want to become healers to Susan for their Reiki training. I know when they work with her, they will have tremendous spiritual growth! I have personally experienced Susan's healing hands. She is truly a gift from God. If you are looking for a Reiki teacher, look no further, Susan is the teacher for you! I met Susan a few years ago when I moved to Burlington,she's an amazing person with an amazing gift. We sometimes worked together and I took my Reiki 1 with her. A dear friend of mine, Helen, moved back to Australia. She was having some issues with her health. Susan kindly sent Helen absent healing and amazingly her painful neuralgia down one side of her face subsided! She'd been suffering from this for 6 years without relief. Helen called long distance to thank Susan and they struck up a friendship. I really recommend Susan highly as a caring, loving healer. My family and I have gone to Susan for reiki sessions and training for the last few months and we have found her to be excellent at what she does, compassionate, generous and caring. I would strongly recommend her to others and wish there were more people like her that are willing to help others and go the extra mile. Susan Nicholas came into my Life when I most needed to find My True Self. Her Level 1 to 3 Reiki Attunements brought to me much healing on an emotional and spiritual level. With Susan's expert Reiki skills, gentle guidance and maternal patience, I gained the confidence and skill to not only bring energy and healing to myself, but to my family and friends. I now have that much needed internal peace, restful sleep and a greater connection to all living beings. I am now truly at peace with myself. With whole-hearted gratitude, Thank You Susan. Susan is one of the most caring and compassionate people I know. If ever the term “ goes the extra mile” was relevant, it certainly applies to this lady. She is well read and extremely knowledgeable in many areas but she is especially passionate about preserving our planet for the next generation. It is so refreshing to know someone who actually walks her talk. Susan is an amazing Reiki Master and teacher. Since she attunes me, my life has begun to change. She is very compassionate and loving and has a genuine interest in People’s well being. I am so grateful and appreciative for the abundant gifts of knowledge, compassion and endless healing that Susan has generously shared. Susan is an integral part of this new huge positive universal energy shift. By strengthening our spirits and bodies, we are able to move forward and contribute to this shift as well. The world led by ego, greed and lust is changing through this universal loving energy to understanding, sharing and love. Thank you Susan for sharing your teachings with us in a clear, peaceful, loving and elegant manner. I am grateful to have met so many wonderful, powerful women through your classes. Your group is so special and the loving energy is exponential when they meet. Thank you for allowing me to be part of your incredible group! Thank you for commenting. You are appreciated.